We will be very pleased to talk to you about baptism, which marks the beginning of the Christian journey that continues for the rest of our lives. 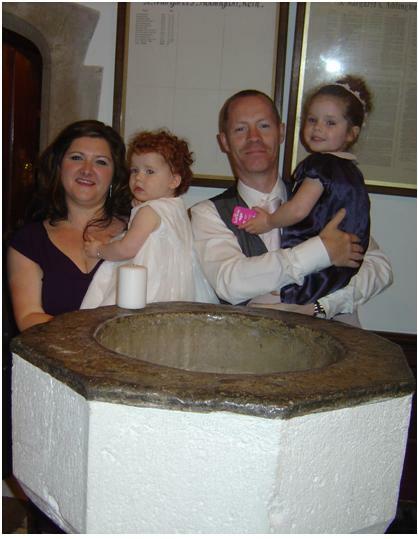 We are happy to welcome people of any age, from infants to adults, for baptism. Most enquiries come from parents of infants and young children. We will spend time preparing with you to make very important decisions and promises on behalf of your child. As baptism is the start of the Christian journey, we encourage you to come to church with your child and experience the life and worship of the Christian community that you and your child will become a part of through baptism. Baptisms in the BART churches will usually be of people resident in one of the parishes or with close existing links to the church. Baptisms take place within our main Sunday services, usually but not always, during a Family Service. If you would like to enquire about baptism in any of the BART churches, for yourself or for your child, the Rector will be very pleased to talk to you.